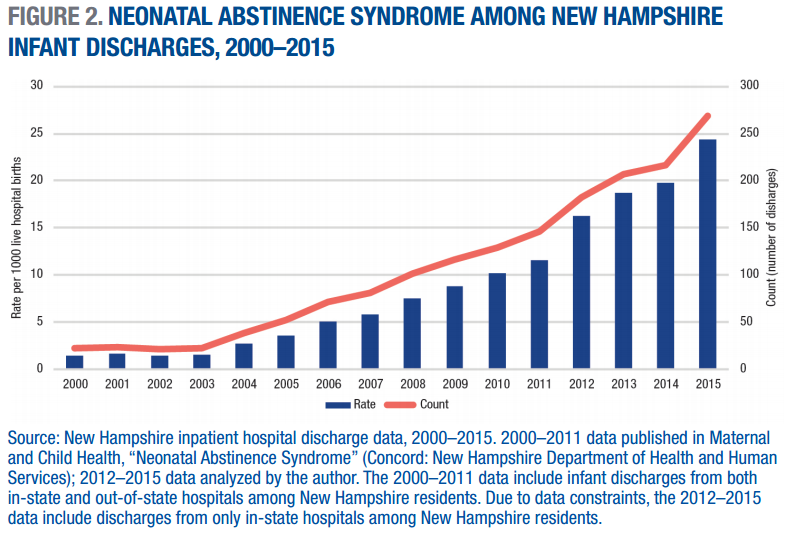 A new report from UNH's Carsey School of Public Policy is sounding alarm over the growing number of New Hampshire infants born dependent on opioids. New Futures Kids Count, which advocates on addiction policy and other issues, funded the report. The report also underscores the fact that NAS can lead to longer, more expensive hospital stays. According to data from 2015, babies diagnosed with NAS stay in the hospital an average of 12 days after being born. By the time they leave, their hospital bills can average $33,700 — significantly higher than the average of $7,800 for non-NAS newborns, according to the report. Those findings caught the attention of Republican Sen. Jeb Bradley and Democratic Sen. Dan Feltes, both of whom plan to introduce bills meant to help moms suffering from addiction. Both senators support reauthorizing the state's Medicaid expansion (albeit through two different approaches), which has expanded access to treatment services. But the senators also want to expand access to home visiting services, which connect low-income and at-risk families with other medical and social supports. Beyond expressing support for these measures, the report also said more work is needed to ensure moms who are dependent on opioids don't avoid seeking help, out of fear that they might be punished by child protective services. Specifically, the report cites "persuasive anecdotal evidence" that recent changes to the state's Child Protection Act are sowing confusion among pregnant women and their medical providers about what kind of disclosure would trigger an intervention from state officials. "Unintended consequences may include a chilling effect on women seeking prenatal care, their willingness to disclose during pregnancy, and reporting by providers," the report states. "Any of these consequences are detrimental to newborns if pregnant women do not get the treatment and care they need." The report calls for more study into how the law is being interpreted and more effort to clarify the processes for the public. New Hampshire has invested millions of dollars into curbing its opioid epidemic. But progress has been slow. That’s pushed some state policymakers and others to get creative. 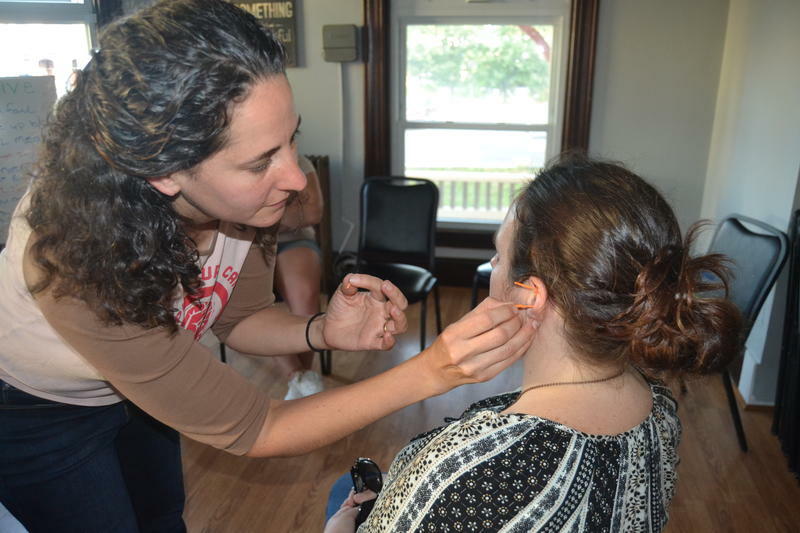 This week, in a three-part series called “Alternatives,” NHPR’s Paige Sutherland reports on some less traditional approaches. Six percent of babies born in New Hampshire have been exposed to opioids. And the actual number may be higher at this point. “We are one of the hardest hit areas,” says Dr. Alison Holmes, a pediatrician at Children’s Hospital at Dartmouth.